When you’re involved in a car accident the consequences can be devastating. While your insurance company will cover damages to your car, if you’ve sustained serious injuries because of someone else’s negligence, you’ll need additional assistance. Experienced car accident attorneys can help you pursue compensation beyond damages to your car to help you through this difficult time. Our Hamilton car accident lawyers at Findlay Personal Injury Lawyers know that even the most careful drivers can be involved in a car crash. We want to help you recover any losses you may have suffered as well as make sure the at-fault driver is held responsible. If you’ve been hurt in a car accident in Ontario, call 905-522-9799 to set up a free consultation with us today. Many different situations can lead to a car accident. The majority of all crashes involve a single vehicle, but traffic collisions between two or more motor vehicles are still a common occurrence and a major reason for safety features in the car. When you are behind the wheel, you should drive carefully and defensively to minimize your chances of crashing. Ontario is a no-fault insurance state, meaning you have to deal with your own insurance company in order to receive accident benefits. Our experienced car accident lawyers can help you deal with insurance adjustors and at-fault drivers in order to secure adequate funds to cover your losses. If you’ve been involved in a car accident, you may have significant injuries that result in treatments and expenses not covered by your Ontario Health Insurance (OHIP). If the accident wasn’t your fault, you and your family should not have to bear the cost of your injuries. The cost of care following these injuries can be high, and in many cases, you and your family might be asked to cover it immediately or when insurance benefits run out. It’s best to consider your likely expenses not just today or tomorrow, but over the full course of your illness—which may last the rest of your life. Our car accident lawyers have extensive experience helping people get necessary benefits after a car accident. We can help you apply for accident benefits, dispute with insurance company over the amount and duration of benefits, or pursue a lawsuit against the at-fault driver. We understand how to calculate the full impact of an accident on your life and can determine the appropriate compensation to ensure you’re seeking everything you’re due. 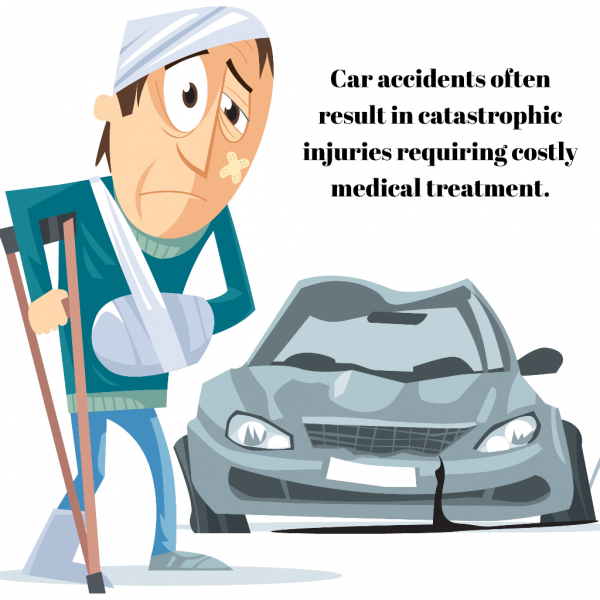 Car accidents can lead to consequences beyond physical pain from injuries. Your life can be severely altered in many ways and the negative effects of the accident can last a lifetime. To help you and your family during these stressful times, our car accident lawyers will fight to obtain fair compensation for your pain and suffering. If the accident was caused by poorly maintained roadside property, the owner of that property may be liable for your damages. A lawsuit against the property owner would combine aspects of a car accident lawsuit and a premises liability lawsuit. To pursue a car accident lawsuit against another driver in the crash, you must first prove they are at fault. There are many ways you can do this after an accident, and our car accident attorneys will try to track down evidence as well. Any information you gather and evidence you obtain from the scene of the incident will help your case if you decide to purse compensation. Contact the authorities: Immediately after any accident you should call the police. Any information the police collect will be used in their report which can be used if a lawsuit is pursued. Seek medical attention: In any accident it’s recommended to seek medical attention directly following the incident. In many cases, paramedics can evaluate you at the scene but sometimes injuries do not manifest right away. Seeking medical attention following an accident will help show that your injuries were sustained during the accident. Take photographs: Taking photographs of the damaged cars and the surroundings of the accident can be important if you pursue compensation through a lawsuit. Take witness statements: If there are people who saw the incident take place, ask them for statements regarding what happened. Any reports on proving the other driver was at fault will help your car accident claim. Contact a lawyer: Contacting an experienced car accident lawyer after an accident will help you if you’ve been hurt by a negligent driver. A lawyer will help gather information from authorities and also help investigate the scene, all of which will be instrumental if you pursue litigation against the at-fault driver. Uninsured drivers are involved in nearly 2,100 accidents in Ontario each year, resulting in several serious injuries and deaths. If you or a loved one has been injured in a car accident and the other driver doesn’t have insurance, you may be able to fight for compensation. Understanding your legal options can be difficult. Our experienced litigators have the knowledge it takes to guide you through the legal process and fight for fair compensation. We realize that there are different ways to go about getting compensation to cover expenses related to your injury. We will work tirelessly to determine the option that is best for you and your family. In Ontario, it’s mandatory for all drivers to have uninsured motorist coverage as part of their vehicle policy. Regardless of who is at-fault for the accident, this allows you to receive compensation through your insurance company’s accident benefits. These benefits may vary depending on which insurance plan you have. Fortunately, our lawyers are here to help explain the coverage included in your plan. Because insurance companies try to limit the amount of benefits you may qualify for, we will advocate on your behalf. The compensation provided by the insurance companies is meant to financially assist you while you focus on your recovery. Your benefits may help replace your income up to 70% of your gross income if you are not able to return to work after the accident. They may also provide you with financial assistance if you were unemployed at the time of the accident and cannot sustain a normal life due to your injuries. What happens when the at-fault driver does have an insurance policy but cannot substantially cover the costs? In Ontario, you can get additional coverage that will help pay the difference when another driver’s insurance can’t provide the full amount. However, this policy must be in place prior to the accident in order to receive benefits. If you aren’t sure what steps to take next, our car accident lawyers can help. The legal team at Findlay Personal Injury Lawyers has over 35 years of experience in fighting for the rights of our clients. We strive to make a difference and we’ve built a strong reputation with successful courtroom outcomes. At Findlay Personal Injury Lawyers, we work to protect our clients from inaccurate insurance appraisals and dangerous drivers. Members of our legal team have medical backgrounds, and we’ll set up an individualized plan of care to meet your medical and financial needs. You can have peace of mind knowing that we’ll negotiate with your insurance company and pursue your best interests for your case. 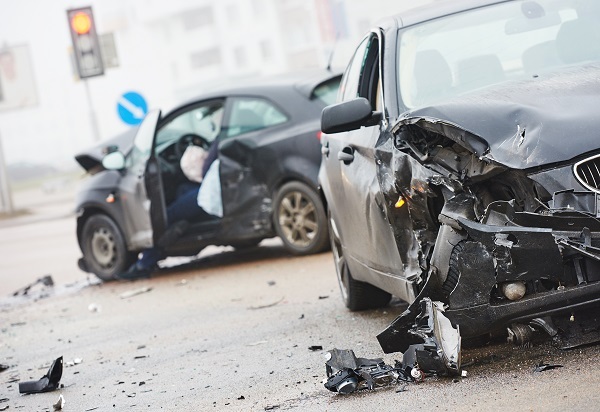 If you or a loved one has been in a car accident in Ontario, contact the experienced car accident attorneys of Findlay Personal Injury lawyers at 905-522-9799 for a free legal consultation. We proudly serve clients from Hamilton, Brantford, Burlington, Stoney Creek, and Niagara Falls, Ontario.